Promotions | Behbehani Brothers w.l.l. Amazing prices starting from BD 8,995/- with 7 years free service. 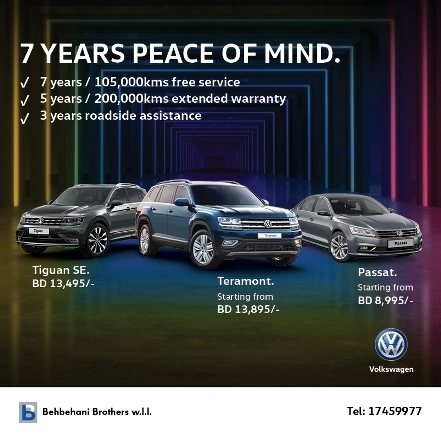 Visit the Volkswagen showroom today or call 17459977. 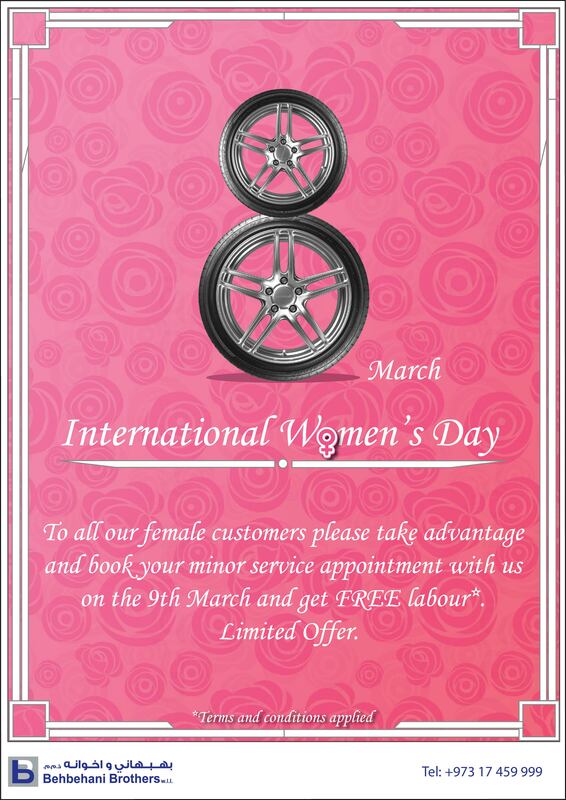 To all our female customers come celebrate International Women's Day with us, simply by booking your minor service appointment today for the 9th of March, and get FREE labour*.Limited offer. 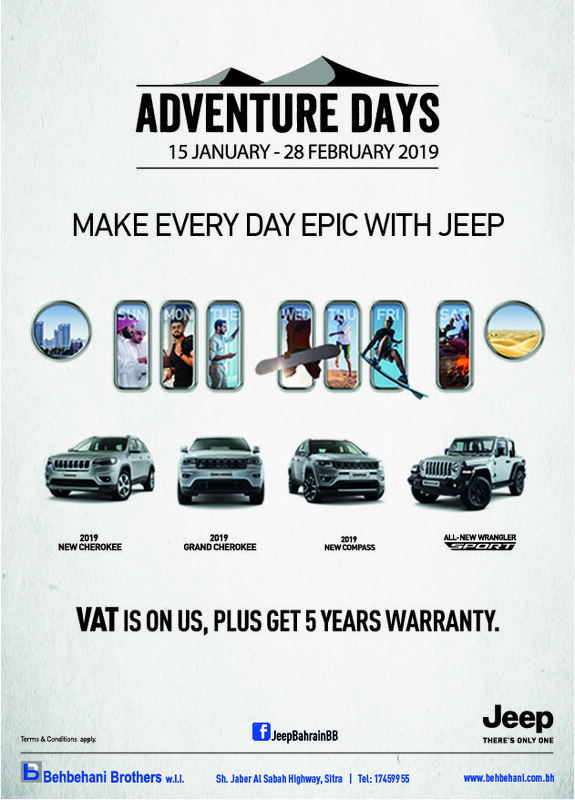 Make everyday epic with Jeep. VAT is on us and get 5 years of warranty.